hypochlorite of sodium can be dosed and stored in separate capacity and further to use for disinfection, sterilization or bleaching. 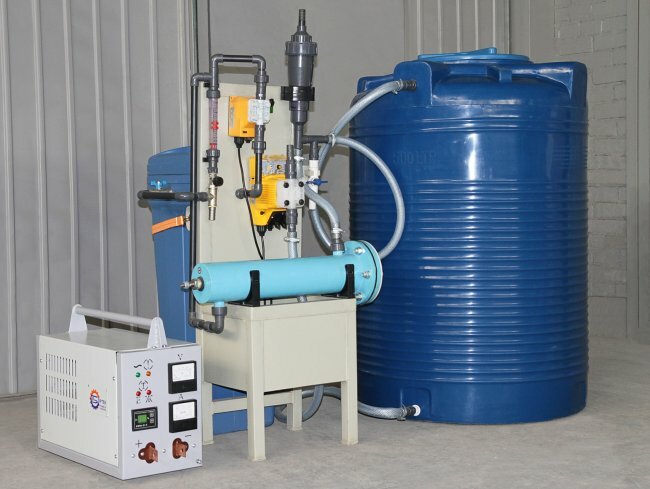 Block electrolysis installation is intended for receiving the disinfecting reagent - sodium hypochlorite - by electrolysis of solution of table salt and water. 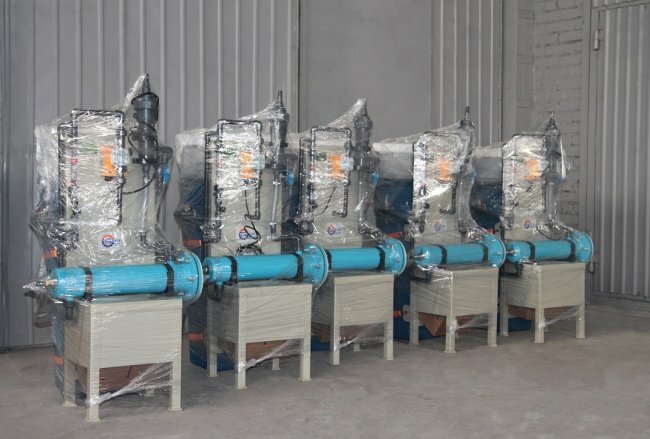 Installation is connected to system of water supply and can be used for disinfecting of drinking water, disinfection of water supply systems at stations of water treatment, for disinfecting of water in the pool, disinfectings of the sewage including which is biologically purified. 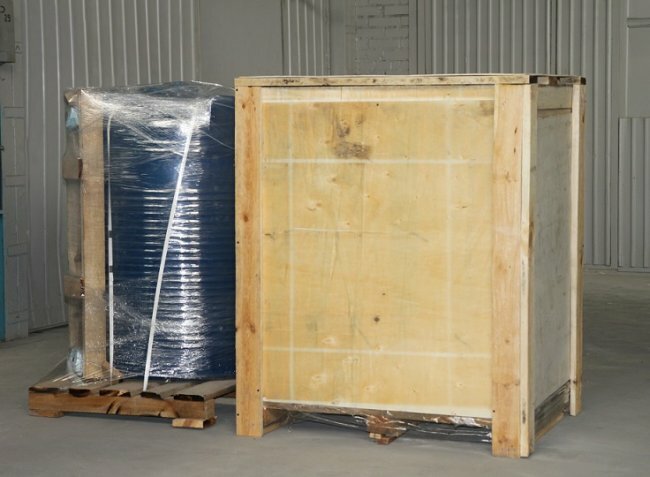 And also, the received pure hypochlorite of sodium can be dosed and stored in separate capacity and further to use for disinfection, sterilization or bleaching. Notes: * The power supply unit is installed so that to exclude a possibility of hit of moisture on it. ** Constant service is not required. 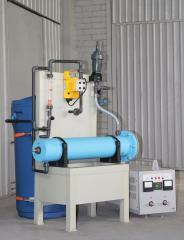 Installation works by the principle of electrolysis of solution of chloride sodium in the single-chamber electrolyzer. 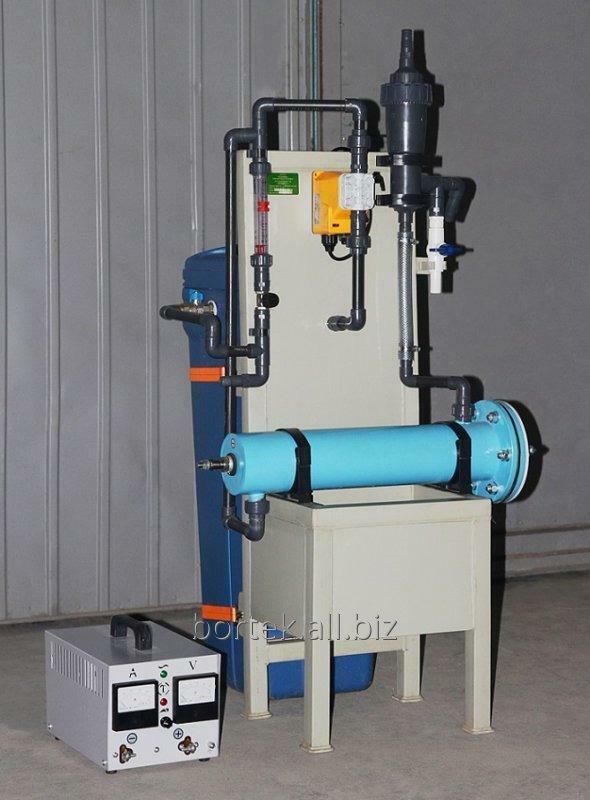 The sodium hypochlorite created in the course of electrolysis continuously is dosed in the conditioned water by drift in the pure tank, or in a collector of sewage. 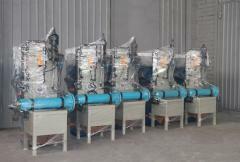 Installation consists of knot of preparation of solution of salt, the electrolyzer, the power supply unit, a gas separator. 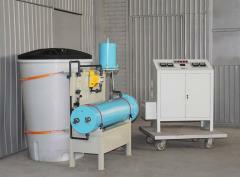 The knot of preparation of solution of salt contains a plastic tank, and also flowmeters of solution of salt and water. 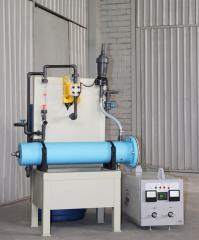 The electrolyzer consists of the electrolysis camera and the cartridge of electrodes placed in it. 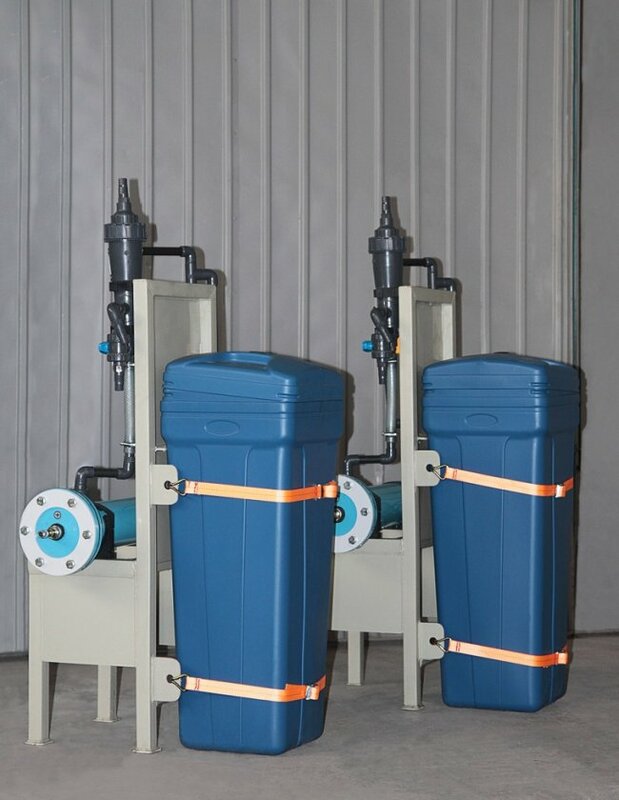 The gas separator is intended for separation of the created electrolysis gases from solution of hypochlorite and removal them in the atmosphere. Service conditions have to correspond to GOST 15150-69, execution of the room of UHL-4, (air temperature from + 1 °C to + 35 °C, relative humidity of air of 80% at a temperature + 25 °C). Terms of delivery. The term of production is 30 working days from the moment of an advance payment of 50%. Reception, the made installation of disinfecting of water in the territory of the Performer. Shipment - shipment at own expense after 100% of payment. Also post warranty service is provided guarantee (within 12 months). Installation will arrive to the Customer in finished form and is mounted by the Customer's forces according to indications of the passport and the maintenance instruction. 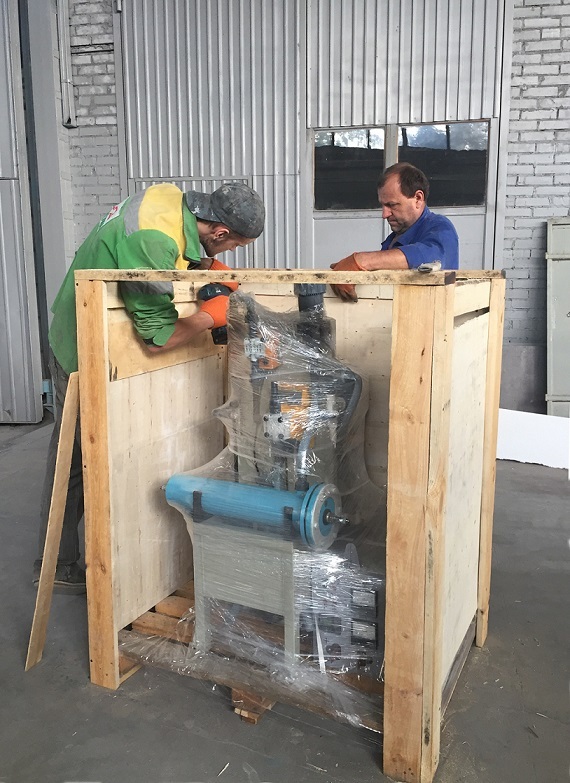 Electrolysis installations of LLC BORTEK for years work at many water utilities: KP "Lutskvodokanal", KP "Ivankovvodokanal", KP "Zhilbudservice" (Luhansk Region), KP "Vodokanal" of Reniysky city council (Odessa Region), Kovel of UVKH "Kovelvodokanal" (Kovel), GP "Ukrshakhtgidrozashchita" (Donetsk), Ostrozhsky KP "Vodokanal" (Rivne Region), Vodokanal of Lubna (Poltava Region), KP "Slavutich Vodokanal" (Kiev Region), Vodokanal Kanev, KP "VODGEO" (Cherkassk Region), GP Sanatorium "Berezovsky mineral waters" (Kharkiv Region) both other enterprises and medical institutions of our country. 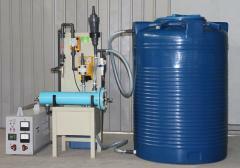 Appointment: Production sodium hypochlorite by electrolysis. Electrolysis installation is used, generally for systems of water purification and disinfecting of water. 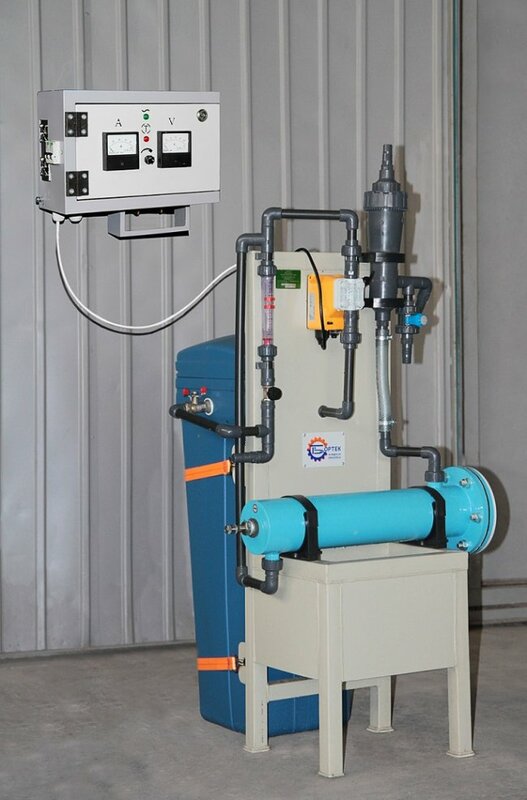 Purpose of the equipment Installation can be used for chlorination of drinking water, pools, disinfection of water supply systems at stations of water treatment, for disinfecting technological and the sewage including which is biologically purified. And also, half-scientific hypochlorite of sodium can be dosed and stored in separate capacity, and further to use for disinfection, sterilization and bleaching of various materials and surfaces. All installations are developed by the LLC Bortek company and made in Ukraine. 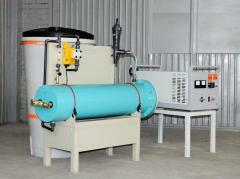 Appearance of installation of disinfecting of Flame — 2 water with a productivity of 10 kg of active chlorine in days. Unbelievable price on The electrolysis Flame installation on 2,5 kg for water disinfecting in Borispol (Ukraine) company Bortek, OOO.